I love the hilly, wooded terrain of North Georgia, the piedmont of the Blue Ridge and Appalachian mountains. When I lived in Florida, the land was so flat and uninspiring. 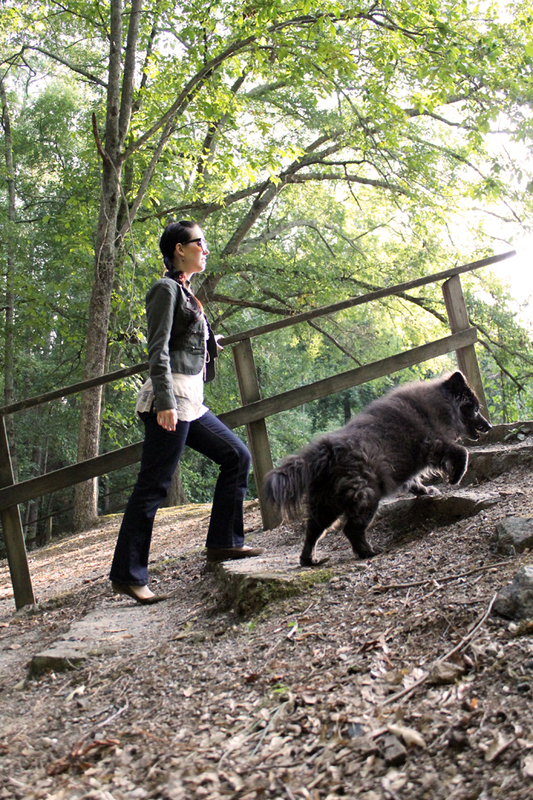 Where I live in Atlanta, the northern part near the suburbs, there are so many parks and walking trails. The Dapper Dog, aka Sugar Plum, likes it, too. Oh my gosh, Dapper Doggy is soooo adorable & fluffy!!! 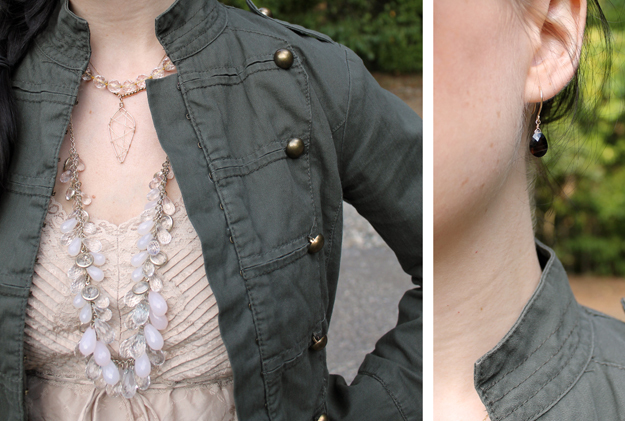 I am always a fan of military inspired outfits and this jacket is very well tailored! You never know what you'll find at tar-jay! You also have dog! Two pets, that must keep you busy! Both pets are low-maintenance....the bunny is litter boxed trained and the dog is super calm. I love your jacket and necklace. They are fabulous. Great style. Now following your blog. :) I would love if you could follow me back as well. you look great, love your military jacket!! Hi,I have been looking the World Wide Web for this information and military camouflage clothingI want to thank you for this post. It’s not easy to find such perfectly written information on this topic.Thanks for sharing.